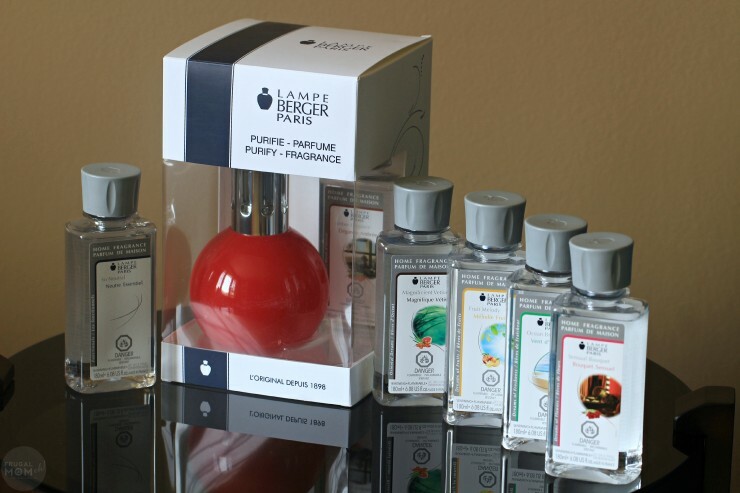 Lampe Berger Paris: Purifies & Perfumes #LampeBergerBA - Frugal Mom Eh! Worse still, many of us spend hundreds of dollars yearly on so called air freshener products that only mask odours and that may be negatively impacting the air quality of their homes further. You might be wondering if it is possible to get rid of unwanted odours without filling your home with smoke, soot, and potentially toxic chemicals. What If I told you there was a product out there that can not only rid your home of unwanted odours but will also purify the air in your home? Unlike other products, Lampe Berger destroys unwanted odours and diffuses long lasting fragrances and also purifies the air – giving you better air quality by removing air pollutant molecules. The fragrances are developed meticulously with your well-being in mind. They are also systematically tested by an independent laboratory to guarantee that no BTEX substances are found during diffusion. This year I am happy to announce that I am a Lampe Berger Paris Brand Ambassador which means I’ll be able to keep you up to date on everything new from Lampe Berger Paris this year from fresh new scents to chic additions to their decorative lamp line. 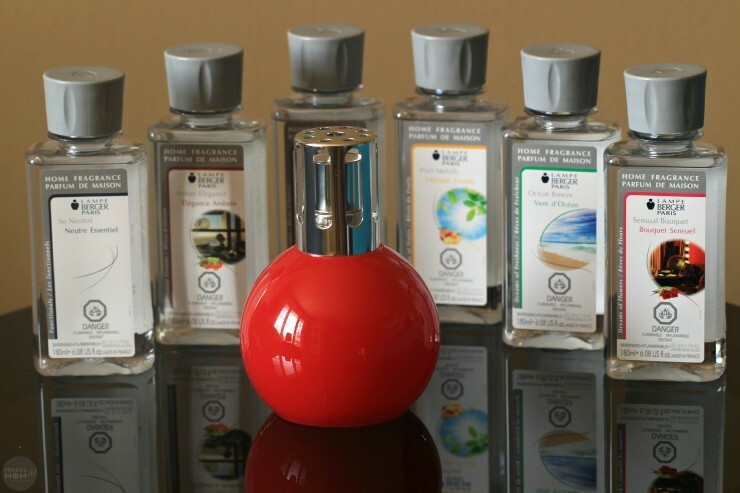 You’ll also have the opportunity to win Lampe Berger Paris so a few of my readers will get the chance to see what it is all about first hand. I was sent a new Red Bingo lamp which comes packaged with a 180ml Amber Elegance scented home fragrance to try out in my own home. 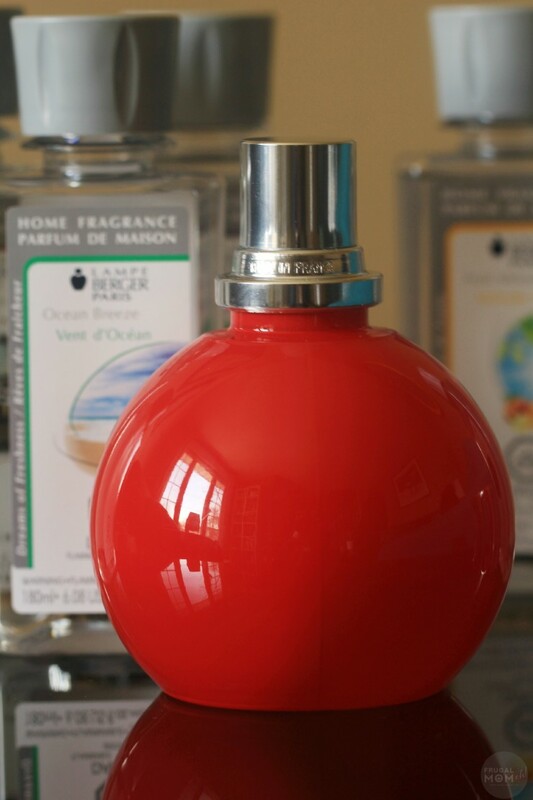 The Bingo lamp is just one of many beautiful and stylishly designed lamps in the Lampe Berger collection. The lamps come in a wide variety of styles, designs, and materials; there is literally a lamp to suite any taste and room. The lamps, of course, wouldn’t be functional without the Lampe Berger home fragrances, and there is a wide variety among the 50 different aromas available to perfectly fragrance your home. Using the lamp is easy. 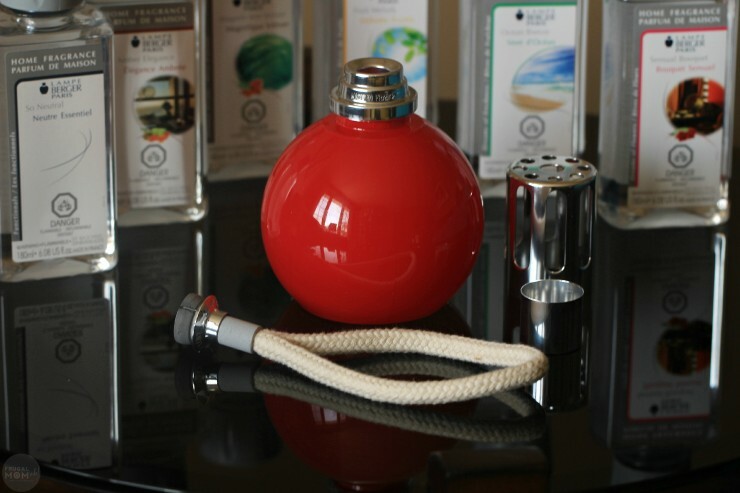 Fill your lamp no more than 2/3 full with your Lampe Berger Home Fragrance using the handy funnel that is included. On the first use of the burner wait 20 minutes with the cap on. Light the Burner and wait for 2 minutes. Next blow out the flame and replace the protective cover while your air is purified and fragranced. Leave it for up to 20 minutes before replacing the cover to stop the burning. 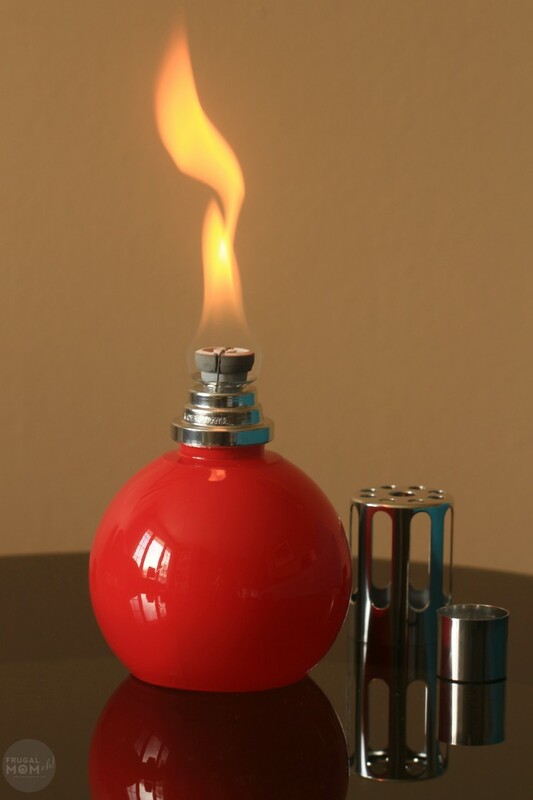 The lamp works by generating heat in the exclusive patented catalytic burner which attracts and eliminates noxious molecules through oxidation with a temperature of 500°C/932°F. It is surrounded by a lower temperature core which diffuses the fragrance. I love to use my lamp when I am unable to keep the windows open throughout the house thanks to poor weather, and especially in the basement where our family room is to keep it smelling fresh. Once the burner gets going my home is filled with a lovely light fragrance; a perfect complement to basic home cleaning and maintenance. 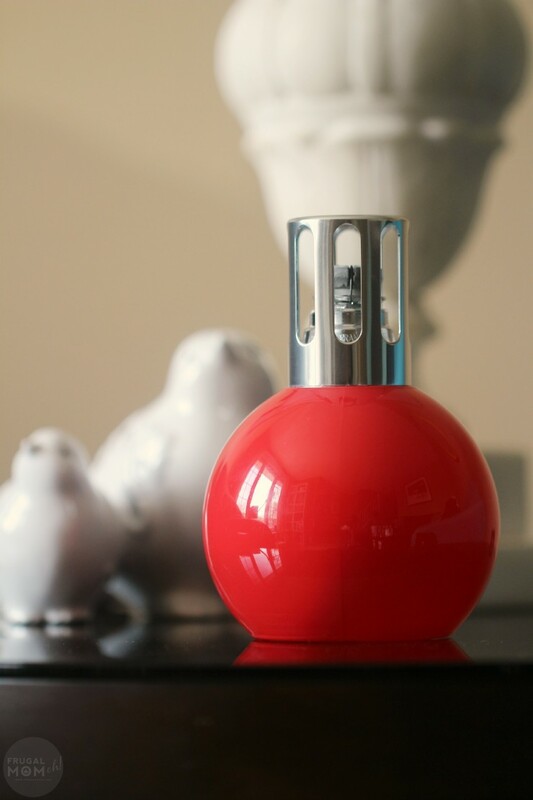 I love the spicy but refined scent of Amber Elegance which is the included fragrance with the Bingo lamp – and also a new scent for Lampe Berger. Sensual Bouquet is a new scent that is flowery and very feminine. I love this one when fragrance my bedroom, it’s quite a charming scent! Forest Mist is another new scent that will remind you of hiking through a forest on a spring morning. It is light, airy and woody. Perfect for spring cleaning! I also really love Ocean Breeze, it has that unmistakable salty tropical smell of an ocean beach that instantly transports you to a place of calm and relaxation. 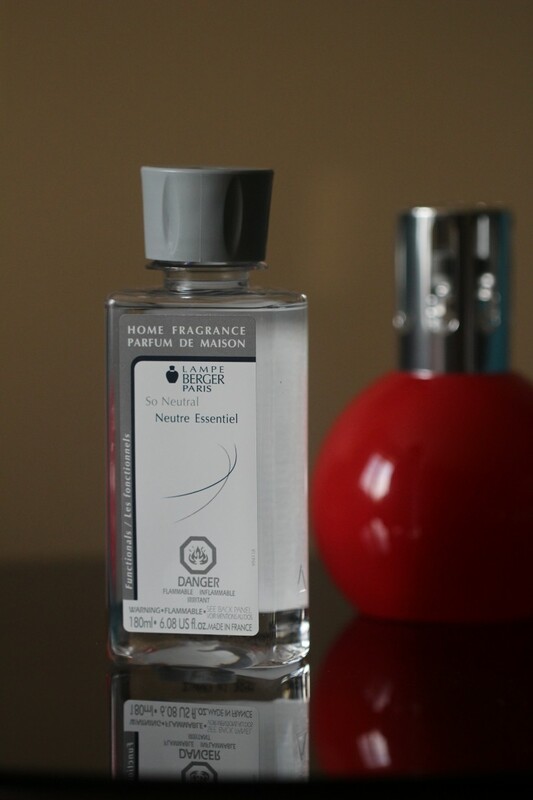 Lampe Berger Paris also offer a neutral fragrance which removes unwanted odours, without fragrancing. It can also be used to dilute the intensity of other fragrances if you prefer a lighter scent and neutralizes the lamp so you can change to another scent. 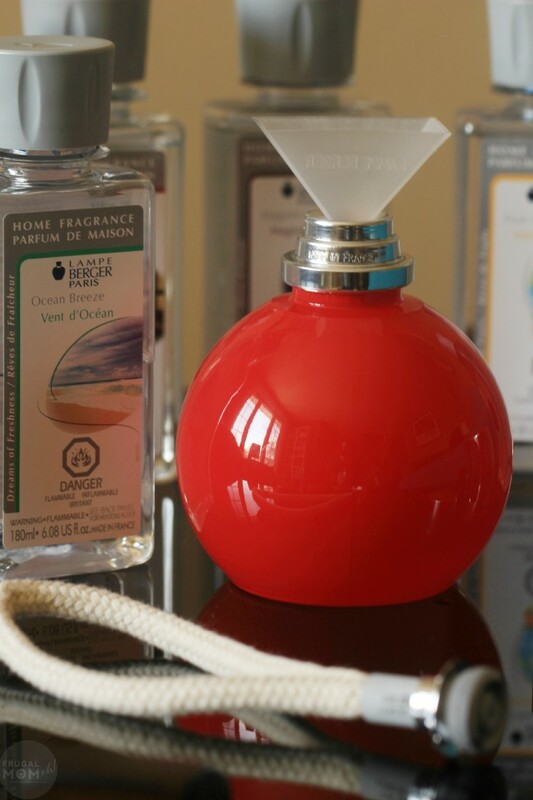 One Canadian Frugal Mom Eh reader will win a Lampe Berger Start Kit (ARV $48) which includes a lamp, 180ml of neutral fragrance and 180ml of fragrance. Giveaway ends on May 4th 2015 at 11:59 pm EST. See giveaway tools form for entry and T&C. 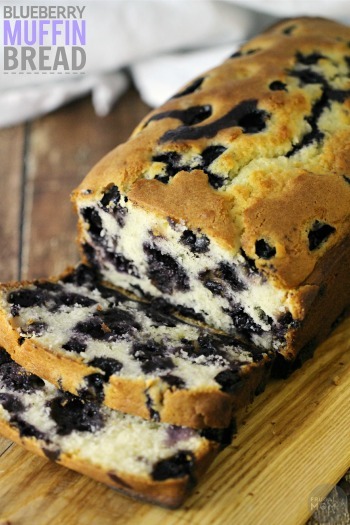 I am most interested in trying the Dreams of Fruit – Fruit Melody. I am interested in trying the Sensual Bouquet! I’m most interested in trying the Delicious Cherry scent! I’d like to try Orange Cinnamon. Id like to try Forest Mist. I love outdoor scents. I’d like to try the Savoury Apple Tart fragrance. The Orange Cinnamon sound like it would smell awesome – thank you very much! I want to try grapefruit passion! I would love to try the ” sensual bouquet” new scent, im intrigue with that! I would love to try “sensual bouquet” new scent. Im intrigue with that! I would like to try Miss Violet fragrance! 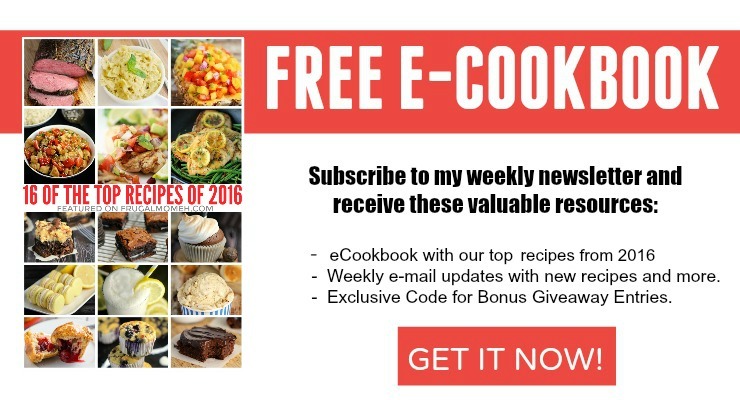 I am interested in Vanilla Gourmet! The grapefruit Passion. I’m a sucker for anything citrus scented. I would like to try Summer Night. Sensual Bouquet sounds beautiful for spring! Sensual Bouquet seems the best for me. Guess that’s the kind of mood I am in. I am most interested in the Miss Violet fragrance. I would like to try Orange Cinnamon out of all the fragrances listed on their site. 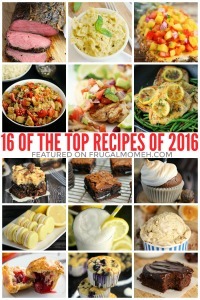 I would like to try the Orange Cinnamon. 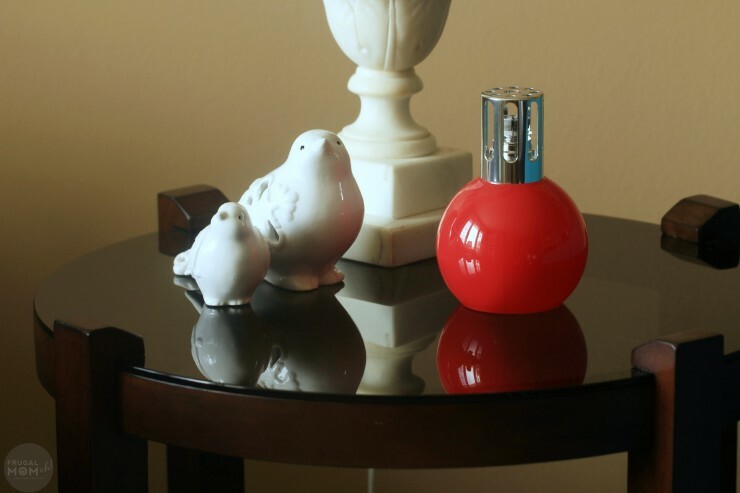 Red Bingo lamp with Sensual Bouquet sounds and looks devine. I would like to try Summer Rain. I think Summer Rain sounds fantastic and earthy! 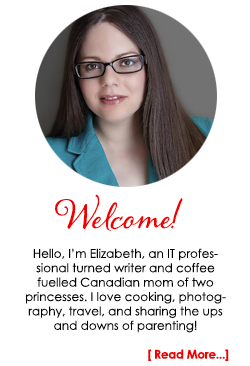 I really liked your post on Hiring a BabySitter for your children, the most precious persons in your life. I think the emergency list is a must and it should be reviewed with the babysitter so she will feel comfortable with it. I would like to try the Citrus Leaves fragrance. I would really love to try “Paris Chic”. I think the Orange Cinnamon sounds lovely and that’s one I want to try. would love to try Lavender Fields! I would like the scent “Miss Violet”.. Ocean Breeze sounds like a nice gentle fragrance. 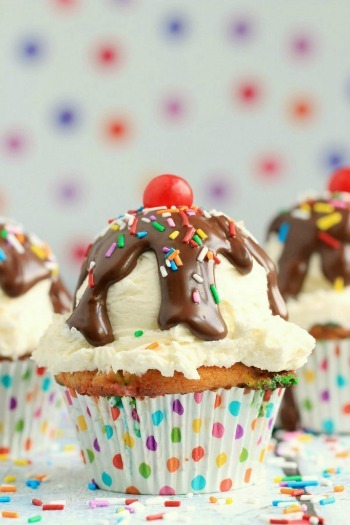 I’d like to try that. They all sound like they would smell so good that I would try any or all of the scents. I like the DIY Thanksgiving Tree. I think it would be wonderful if children wrote what they are thankful for on paper leaves, and pinned them on the tree with ribbon, etc. This could make them aware of things they can be grateful for instead of focusing on what they don’t have. It would be Amber Elegance for me! I have always loved the scent of amber! I think Grapefruit Passion would be energizing and like a breath of fresh air-would love to try this one. Zest of Verbena sounds refreshing! Ocean Breeze, definitely! The salty ocean smell takes me back to my childhood and is my happy place 🙂 It’s where i dream of going for a vacation, so the scent will make me seem as though I’m there! I would love to try Grapefruit passion! I would really like to have the Ocean breeze or summer rain. I also think it would be nice to have the Neutral scent. Thank you for this giveaway!! I’d love to try lavender fields. I’m most interested in trying Amber Elegance. I like fresh scents, so I’d try Ocean Breeze first. I am most excited to try Ocean Breeze! I would like to try the Ocean Breeze scent.